As a string trio played, a long stream of mourners filed past the body of the late San Francisco Mayor Ed Lee to say goodbye to their leader of seven years. His body lay in repose in a closed casket draped with the American flag, behind velvet ropes, and with two guards. A crowd gathered at City Hall early Friday, with thousands waiting to pay their respects. Inside the rotunda, where the maximum capacity is 3,000 people, mourners included former Mayor Willie Brown, House Minority Leader Nancy Pelosi, Acting Mayor London Breed, city staff, community activists, Lee's friends and more. Some people prayed, others made the sign of the cross and still, others bowed three times — once to acknowledge heaven and earth, then to acknowledge the person who has passed away and finally for Lee's family. They also moved into a side hall to write their condolences. San Francisco will honor late Mayor Ed Lee, who died suddenly Tuesday, in two public memorials. Lee, 65, was San Francisco's first Asian-American mayor and presided over the city as it climbed out of a recession and into a boomtown driven by tech. He died early Tuesday after collapsing at a Safeway, leaving the city reeling from shock and dealing with the logistics of selecting a new leader. The medical examiner has not released a cause of death. 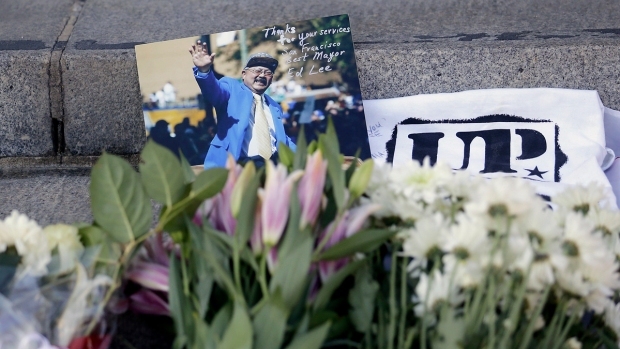 A crowd gathered at City Hall early Friday, with thousands waiting to pay their respects for Ed Lee. Some people prayed, others made the sign of the cross, and still others bowed three times — once to acknowledge heaven and earth, then to acknowledge the person who has passed away and finally for Lee's family. They also moved into a side hall to write their condolences. Sam Brock reports. "I'm here to pay my respects to Ed Lee," said Matthew Saccomanno, 20, a nursing student at San Francisco State University. "He was a great mayor. He was a great man with a great heart." Saccomanno said he respected the mayor for trying to make life affordable in an increasingly unaffordable city, and for tackling climate change, an issue important to young people. "He actually had the ability to listen," Brown said. "Most politicians cannot listen. And I suspect that people reacted because he actually looked them in the eye, he heard their name that they gave him, he gave them his name and he absolutely listened to the next words they said." 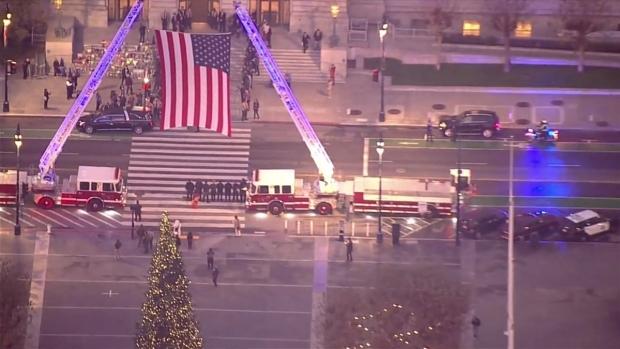 Earlier Friday, a police motorcade escorted the body to City Hall, where a giant American flag has been hoisted up by the ladders of two firetrucks. The funeral procession drove through several San Francisco neighborhoods, including Glen Park, where Lee lived. Police officers lined the steps and saluted, giving Lee full honors as his casket was carried up the steps and into City Hall just a few minutes before 7 a.m.
People who worked with Lee fondly recalled that their mayor always arrived for appointments a few minutes early. So, of course, on a solemn a day as Friday, he would be brought to City Hall similarly early. 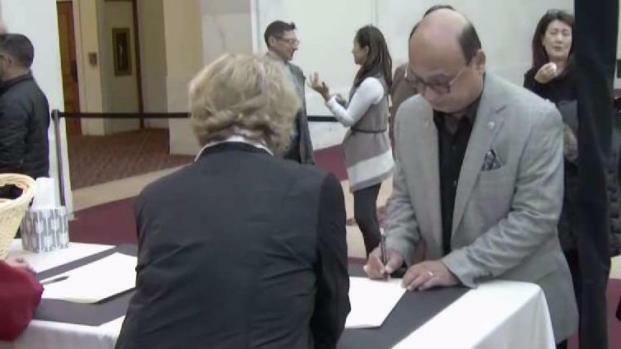 It was sort of a signature of the kind of person he was, they told NBC Bay Area. The last mayor to lie in repose in the rotunda was George Christopher, who led the city from 1956 to 1964 and died in 2000. Mayor George Moscone and Supervisor Harvey Milk, both assassinated in 1978, also laid in repose in the rotunda. Lee was elected in 2011 and re-elected in 2015 after being appointed to serve the remainder of former Mayor Gavin Newsom's term in 2011. He was a civil rights lawyer and longtime San Francisco administrator known for his corny sense of humor and dedication to public service. 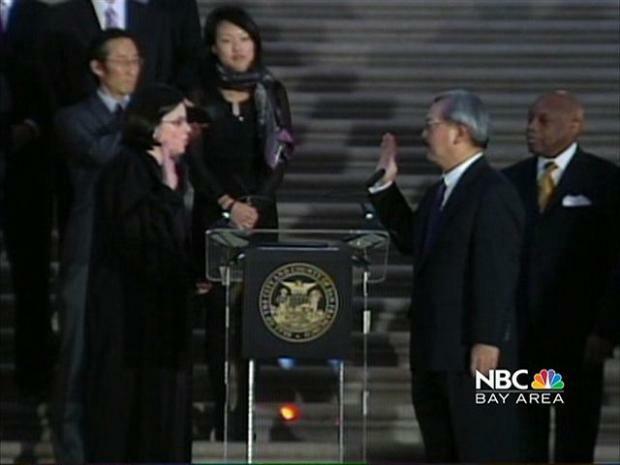 San Francisco Mayor Ed lee was sworn in Jan. 9, 2012 and he laid out his vision for the city. He also did something that no other mayor has done before. Supporters say Lee didn't receive enough credit for working to build affordable housing and battling homelessness. Critics say Lee didn't do enough to stand up to tech companies after he lured the industry to San Francisco with a tax break in 2011. 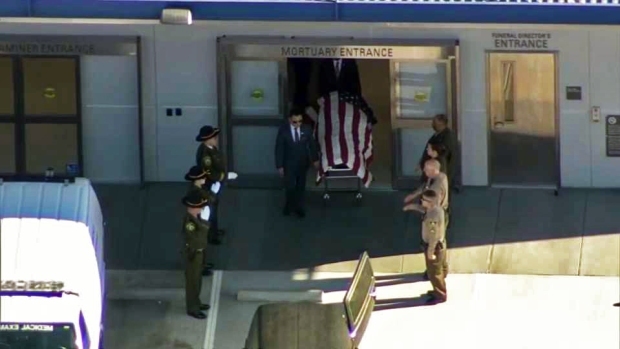 The casket will be on display until 7 p.m.
San Francisco will host a public memorial for Lee on Sunday. 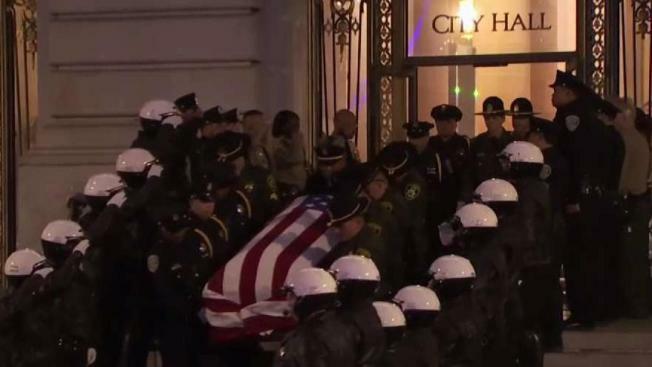 The motorcade escorting @mayoredlee 's body has arrived at city hall, where his body will lie in repose in the rotunda. Viewing is open to the public until 7p Friday.